As you can see my hair has got somewhat hippyish over the last week . 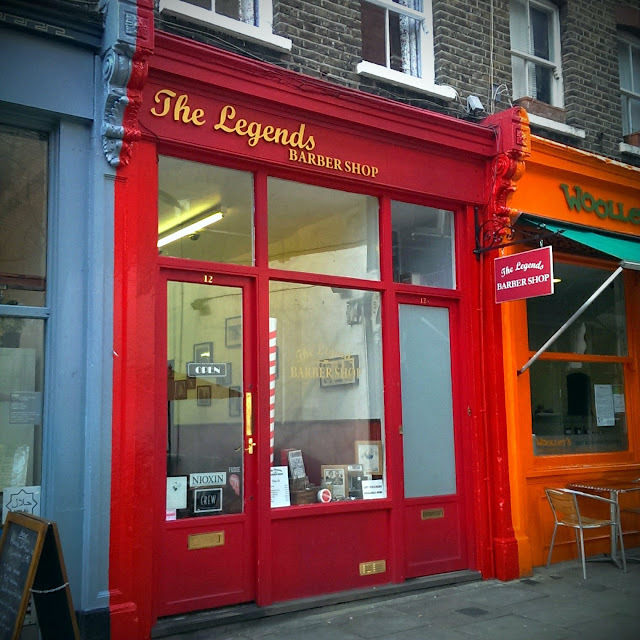 So we're off to the Legends barbershop in holborn to get a little trim. The Legends Barber shop In Lambs Conduit Passage, Holborn, London. The guys there really know what they're talking about and provide an excellent service to everyone that comes through their doors. Everyone that is from high court judges, magazine editors the occasional Rock star and everyone else who knows where to get a good haircut in holborn! The shop is small with three chairs but they are always busy. Operating an appointment system as opposed to a "turn up and see" otherwise there'd be 40 people sitting waiting every lunch time. So it's best to call in advance to see if they have some space. Saying that though in the middle of the afternoon there was still space to do a quick drop in but that is a rarity. The shop is unpretentious clean and old school. Simple clean decor. 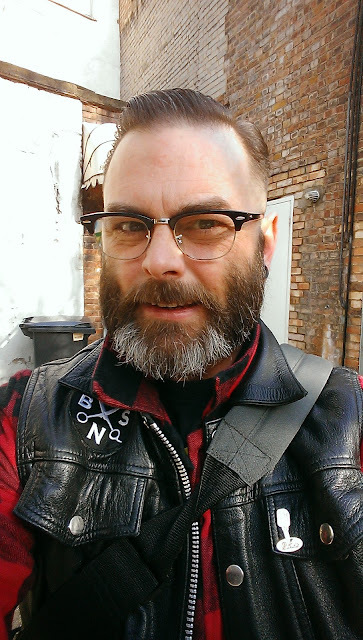 And a world away in price and hipster-Ness that's become the byword for barbers at the moment. 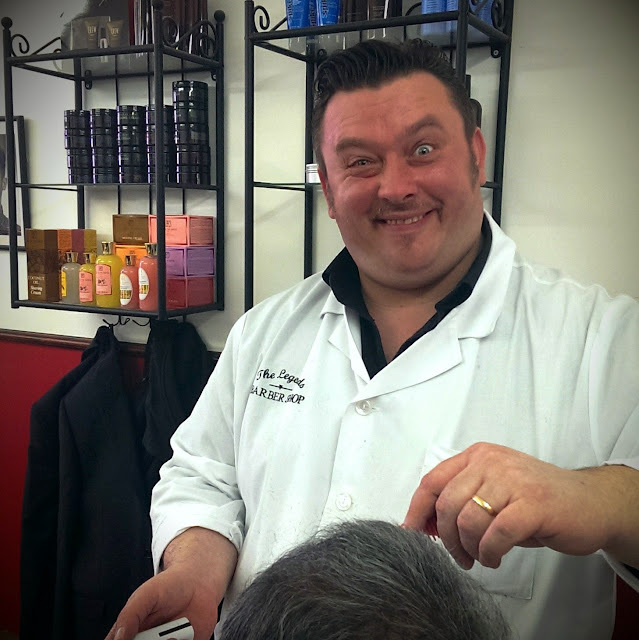 The shop is owned and operated by Darius and he takes his skills very seriously. 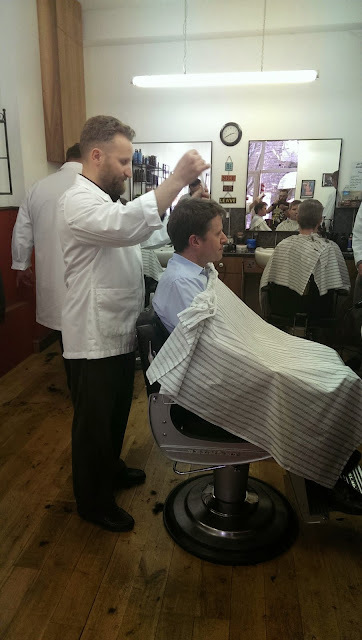 He is a master barber and is meticulous in how he wields his steel. The other regular barber is mister Jack. 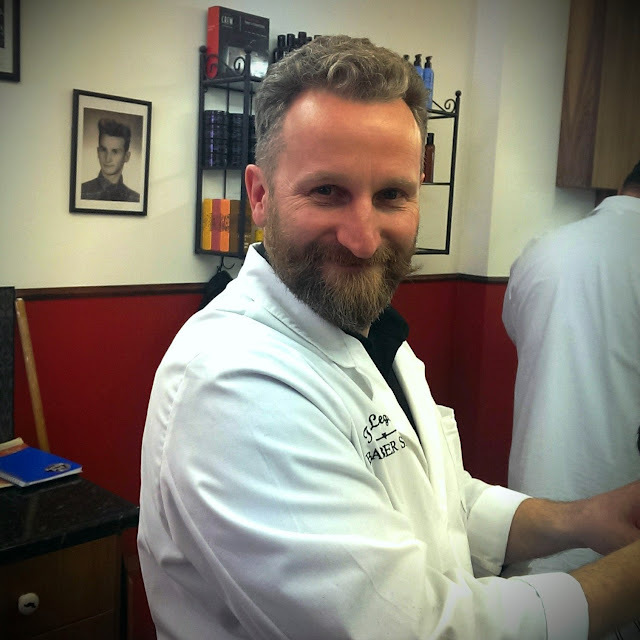 A jovial, humourous and skilled master barber in his own right! His laugh is infectious. 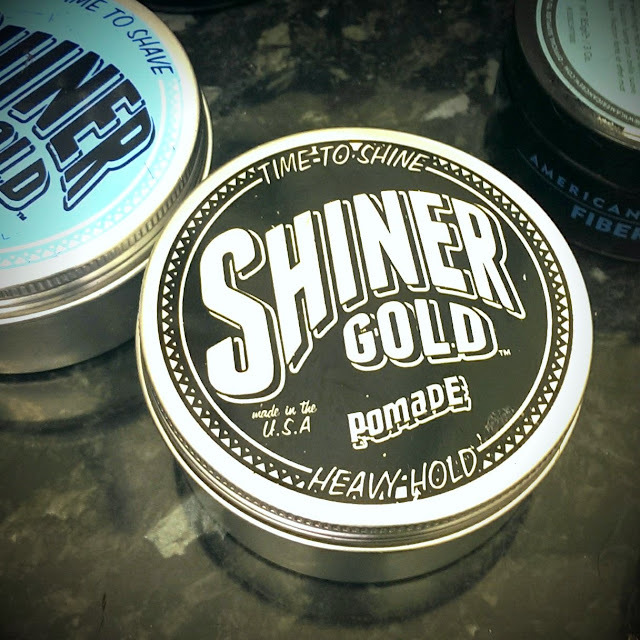 Darius did a traditional short back and sides from a zero grade took a little off the top and finished me off with some shiner gold pomade. All in under 15 minutes. Even though it was quick the lines are clean and the fade is awesome. The man really knows his stuff. The shop is open from 9am-7pm last appointment time is 6.30ish. Monday to Friday only. they've even formulated their own hair gel! But don't believe me go and try them. Which barbers do you go to? Here I am all trimmed and ready to go!